Scale: Unknown. 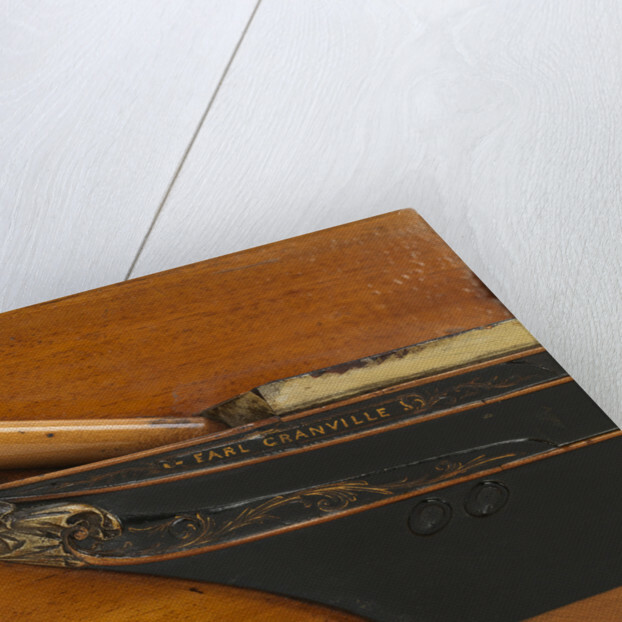 A half block model of the sailing vessel 'Earl Grenvill' (1877). The model is made largely of wood with some metal fittings with the hull constructed in bread-and-butter fashion. The lower portion of the hull has been finished in natural wood that has been varnished with the top upper works and bulwarks finished in a black colour complete with a pair of thin horizontal moulded wooden wales. 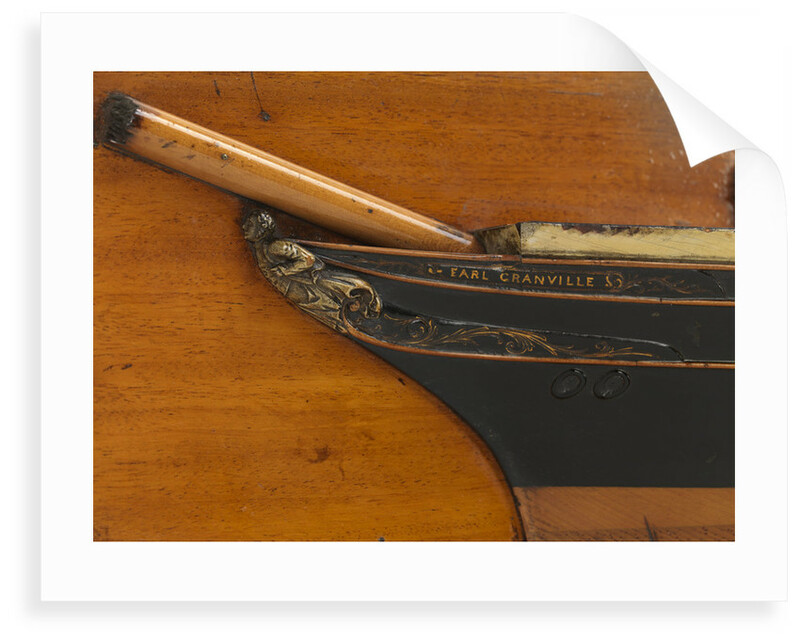 It has a decorated counter- stern and a clipper bow complete with a carved male figurehead, trailboards, and a nameboard leading into the back of the figurehead. 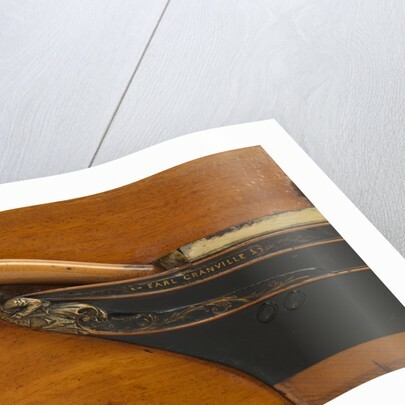 There are three decks, all of which are finished in natural varnished wood, the planking of which is marked on in black ink. It is complete with three stumpmasts, a large deckhouse between the fore and mainmast, two cargo hatches, three capstans, four skylights and companionways, a pair of bollards, and six fire buckets along the fore edge of the poop deck. On both the forecastle and poop deck are thin horizontal sections of bulwark which have been painted a creamy white. 'Granville is incribed on the port bow and stern. A plaque is inscribed: 'Earl Granville. 210.6 x 33.6 x 20.2 equals 1009 tons. G.R. Built by Rob't Duncan & Co Port Gasgow. 1877'. 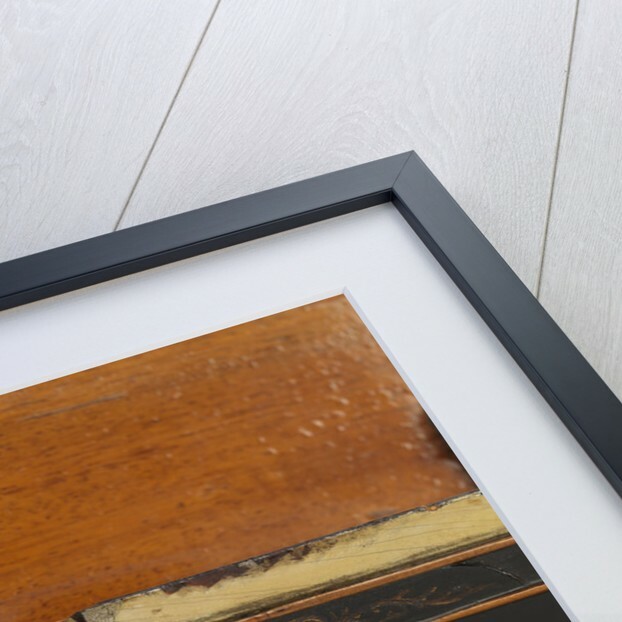 The whole model is mounted on a stained mahogany backboard which has been varnished with a moulded edge.